Is the Smaller Vibration X Worthy of Its "Jr." Title? 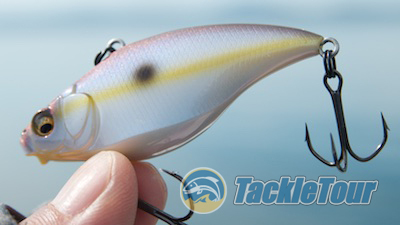 Introduction: Back in 2006 we took a look at Megabass's lipless crank offering, the Vibration X. 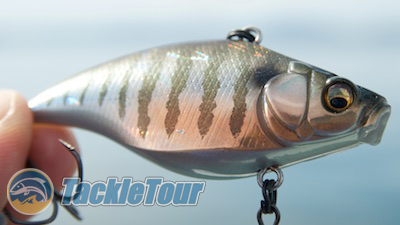 Late in 2014 we learned of the new, Jr. sized Vibration X so we thought we'd take a fresh look at this bait and see how the Jr. size stacks up against the recent influx of lipless baits on our decks. Quality/Construction: There are highly detailed, intricate, production line baits and then there's Megabass. There are few companies that can rival the crazy, refined, almost artful finishes this company offers on their baits. Do all the finishes work? Are they really effective? Who really cares? Consumers spend over $20 per bait just to have them - many with zero intention to ever fish the bait - because they're so unbelievably elegant. Who does that? Megabass defines addictive tackle. Introducing Megabass's Vibration X Jr. Performance: The Vibration X Jr is a relatively small lipless crank but not entirely diminutive. It measures two and a half inches (2.5") in length and weighs right around one half ounce (1/2oz). So really, a half ounce crank isn't that small, but by lipless standards it is hence its "Jr" status. I decided to have a little fun with this bait and tossed it on my PX68L SPR mounted on a Megabass F5st-711X7 Bearing Down Type X. The Jr is a half ounce sized bait. Castability: One would think that casting a half ounce bait on a heavy powered rod would not yield very good results but given the Bearing Down Type X's unusual tip paired with the equally unusual PX68L SPR, the Vibration X Jr was a breeze to cast - and almost spool my SPR! But as we've already established in our other lipless crank reviews, that result is hardly unexpected. All these baits cast well. Equipped with the usual Megabass Katsuage outbarb, thin wire hooks. Slow and High Speed: The PX68L SPR is not exactly a high speed burner type of reel, so in order to test this bait at higher speeds, instead, I just ripped it through the water next to the boat. As expected, the bait held up fine to these tests. 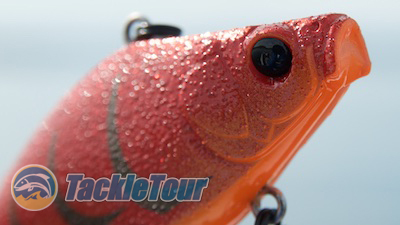 I will note that the actual vibration qualities of this bait are more subtle than other lipless cranks. Yo Yo Action: On a yo-yo type retrieve, the Vibration X Jr descends in the water with a slight head down position letting the current direct which way it faces, but with no shimmy action in the body that I could discern. 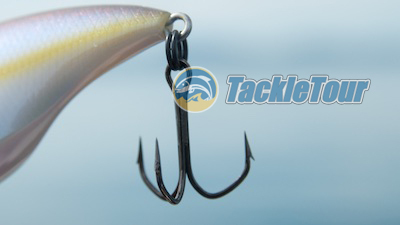 The bait will vibrate as you rip it up from the bottom, but it falls relatively straight. We're particularly fond of this pattern.